accommodate a comfortable standing position. seated height to a standing height, for maximum daily use. premium active and ergonomic WorkPro seating collections. locations for more information and other healthy lifestyle solutions. several banner brands including Office Depot, OfficeMax and Grand & Toy. Brenton Studio, Ativa, WorkPro, Realspace and HighMark. Market under the symbol “ODP”. 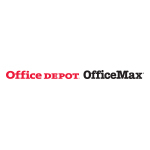 All trademarks, service marks and trade names of Office Depot, Inc.